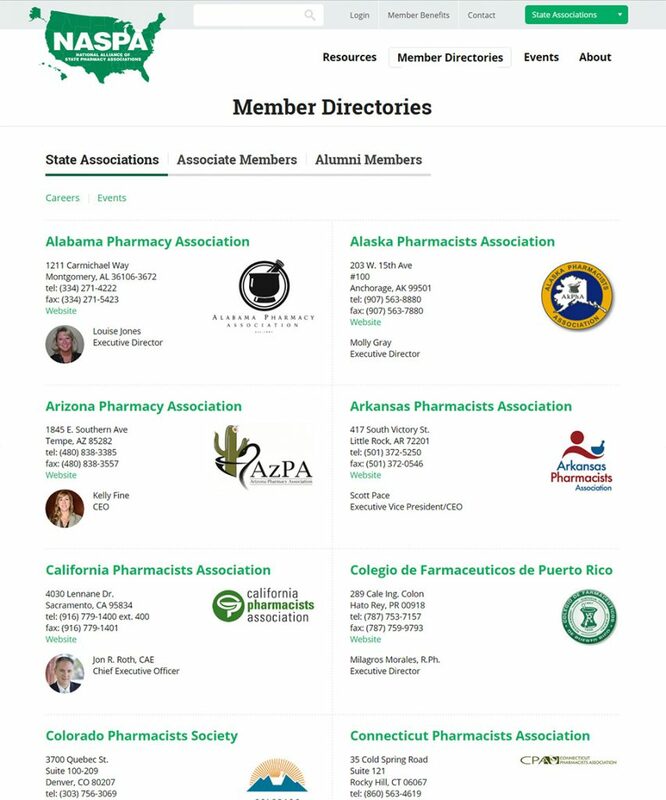 The National Alliance of State Pharmacy Associations (NASPA) assists state pharmacy associations in their efforts to advance the profession of pharmacy. The association website design focuses on marketing helpful resources to member organizations. A tiered membership structure allows staff to direct content and enhanced member directory information to targeted audiences. A custom events calendar allows NASPA to highlight their own events as well as those of all member associations across the country. NASPA represents a great number of organizations who work together and are often looking for contact information. The “Directory” page is one of the most visited pages on the site and Refresh worked to focus on a clean, organized and easy to browse listing of associations. 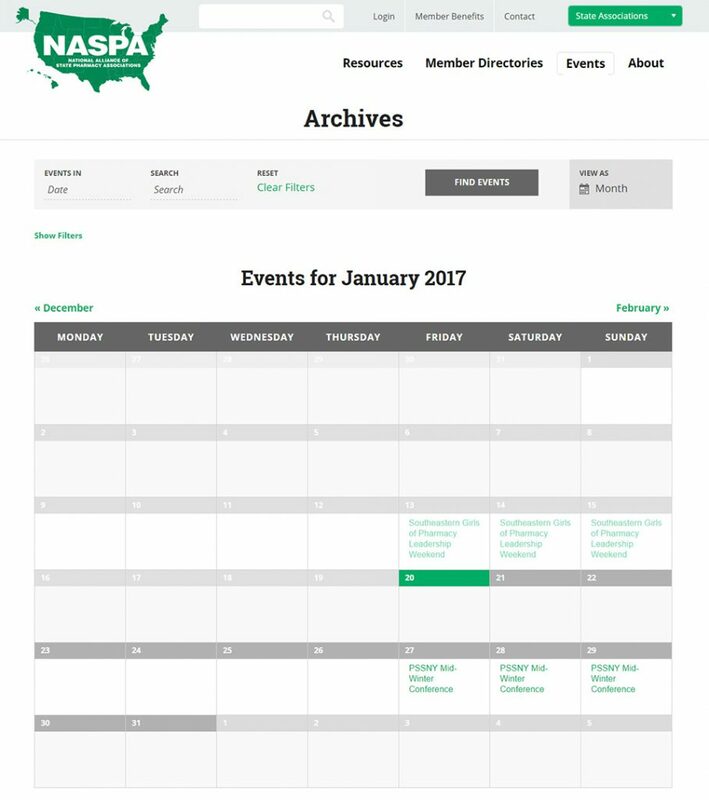 NASPA’s member organizations are allowed to post events to the master calendar on the site. These events are then approved and displayed to all members and advertised throughout the site.